The crossover market is growing across the world. Even in India, people are now considering crossovers as an alternative to regular variants of the same vehicle. Look at the i20 Active or the Etios Cross for that matter. Both Hyundai and Toyota are managing to sell decent amount of these crossovers courtesy their rugged looks. 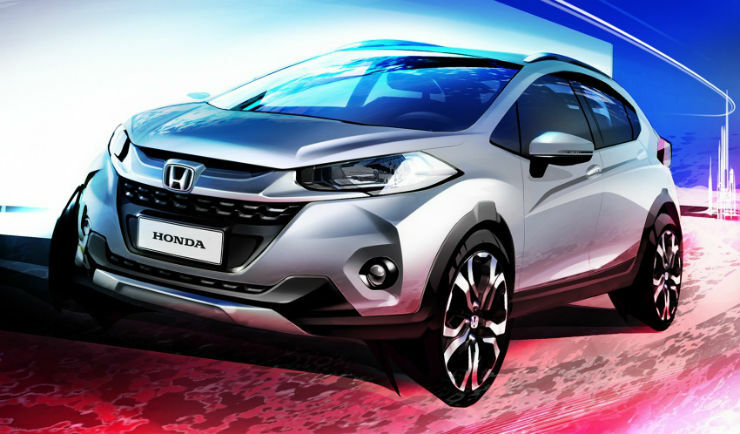 Honda too is looking to enter this market now with the WR-V. The company has released the first official sketch of the vehicle to give us an indication of what the vehicle will look like. The WR-V is a crossover based on the Jazz hatchback. The vehicle will be introduced at the Sao Paulo Motor show that is coming up soon and should make its way to India by mid next year. From the official picture that the company has sent out, one thing that is clear is the fact that the car looks a lot more rugged than the other crossovers, especially those in India. It has sharp creases on the front bumper that give it a cool look and a massive dual front grill. There is a skid plate as well since no crossover can be complete without one. The whole profile is very muscular and looks very interesting. 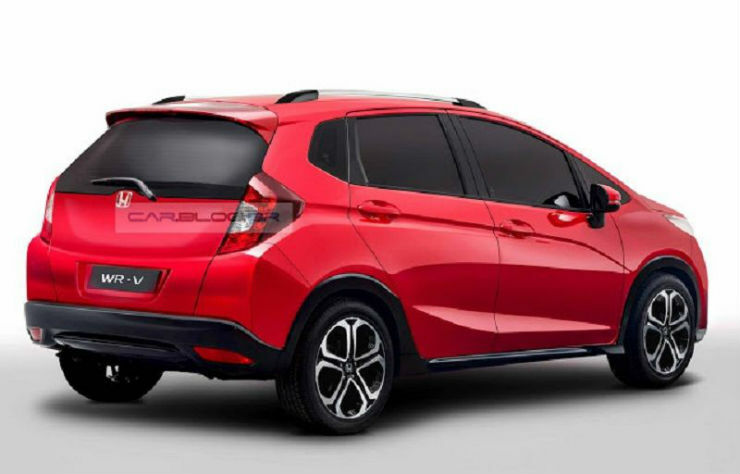 Unlike what most manufacturers do, Honda is going to make the WR-V look a lot different from the Jazz which is a nice thing. On the inside though, the WR-V is expected to continue the practicality of the Jazz and share interior bits to keep costs down. Though this will have new bits on it as well. Under the hood, the WR-V is expected to get the same engines that do duty on the Jazz in India. So the petrol will be the 1.2 liter unit making 87 Bhp and 109 Nm and the diesel will be the 1.5 liter unit making 99 Bhp and 200 Nm. The petrol will most likely get an automatic option along with the manual where as the diesel will come with the manual box only. When the vehicle is introduced in India, it will take on the i20 Active, the Cross Polo, the Avventura and Urban Cross.